The Leaf Pick Up Schedule for 2016/2017 is shown above. BAGGED leaves will be picked up on the 2nd and 4th FRIDAY of each month during this time, BY APPOINTMENT ONLY. 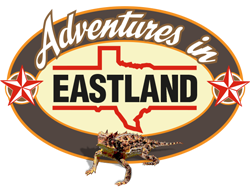 You must call City of Eastland 254-629-8321 24 hours BEFORE pick up in order to be put on the schedule. Progressive Waste will NOT pick up bagged leaves not scheduled and after March 24th. Bagged leaves not scheduled, or after March 24th will need to be taken to the City Convenience Center. Placing any item curbside more than 48 hours before a scheduled pick up violates City Ordinance Article III, Sections 9-19 and 9-21 and may result in a citation being issued.